YKK AP StyleView® new construction and Precedence® energy efficient windows and doors are Green Approved Certified by the National Association of Home Builders (NAHB) Research Center. Precedence and StyleView products are eligible to contribute up to 15 points toward certification of a building under the National Green Building Standard. 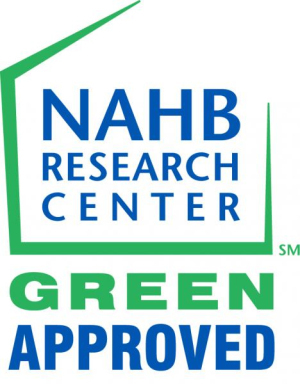 The NAHB Research Center Green Approved® mark is intended to assist builders, designers and specifiers in identifying products that can contribute points toward building certification. All buildings certified by the NAHB Research Center are required to be inspected by independent, third-party, accredited verifiers to confirm the product is eligible for the points claimed by the builder. Under the National Green Building Standard, builders or remodelers must include sustainable building products with a specific number of features in resource efficiency, water, energy, lot and site development, indoor environmental quality and homeowner education for a home to receive NAHB’s Green Building Certification.